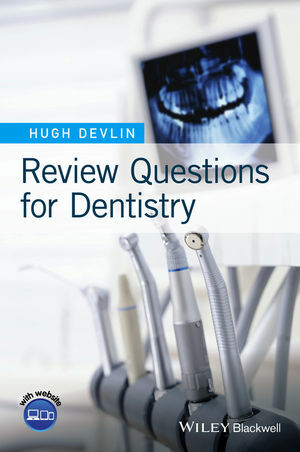 Review Questions for Dentistry is an essential exam practice tool designed for undergraduate dentistry students, postgraduate MJDF candidates, and overseas candidates sitting their OREs. Using the questions as a platform for learning consolidation, this exam preparation guide provides feedback to students to enable them to assess their knowledge and understanding of the subject. Hugh Devlin is Professor of Restorative Dentistry at the School of Dentistry, University of Manchester, UK and Associate Editor of the ‘Journal of Prosthodontics’ and the journal ‘Gerodontology’. He is the Director of the Restorative and Aesthetic Dentistry MSc course at the University. This innovative course is taught mainly online. Hugh is also Director of Manchester Imaging Ltd., a University spin-out company. In 2011, Hugh was the recipient of the IADR Distinguished Scientist Award (Research in Prosthodontics and Implants Award).